E-Commerce is a system which has bought a revolution in the business world and also in life of individuals as they can simply order by using the internet and need not go and search in shops. This paper is about advancement in E-Commerce and will show how the new technology in E-Commerce will be. In this new system most easy part is that the product reviews of all the online shopping sites will be shown in a single page and the user need not search every online site for reviews and user can complete the order by interacting with computer by the voice of the user. This is very easy to adopt by any user. Gundra Pranav Gopal Reddy. "Voice Command E-Commerce." 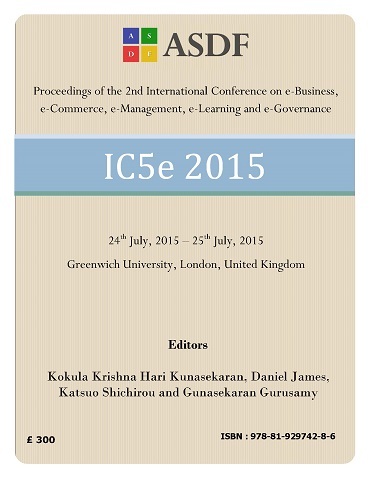 International Conference on eBusiness, eCommerce, eManagement, eLearning and eGovernance (2015): 109-111. Print.